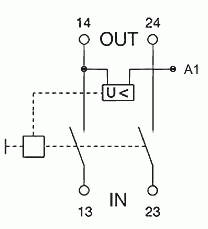 Due to the undervoltage release (solenoid) the switch triggers on voltage drop ( power failure ) and has to be switched back on manually. Therefore it won't switch on spontaneously and uncontrollably. 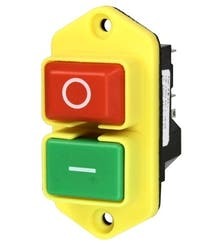 This switch is currently not available ex works. 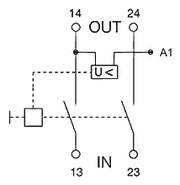 A switch with a bridge will be shipped instead (refer to image at the bottom). 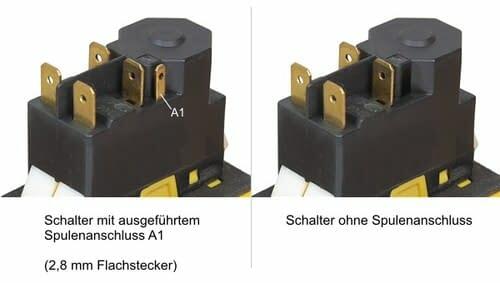 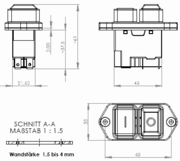 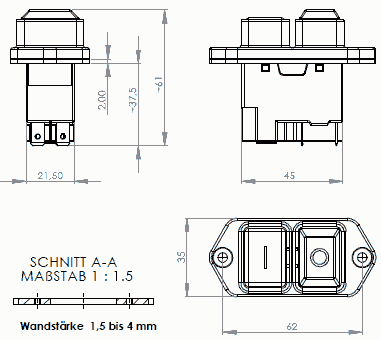 The switch is functionally identically with the switch without coil connection.